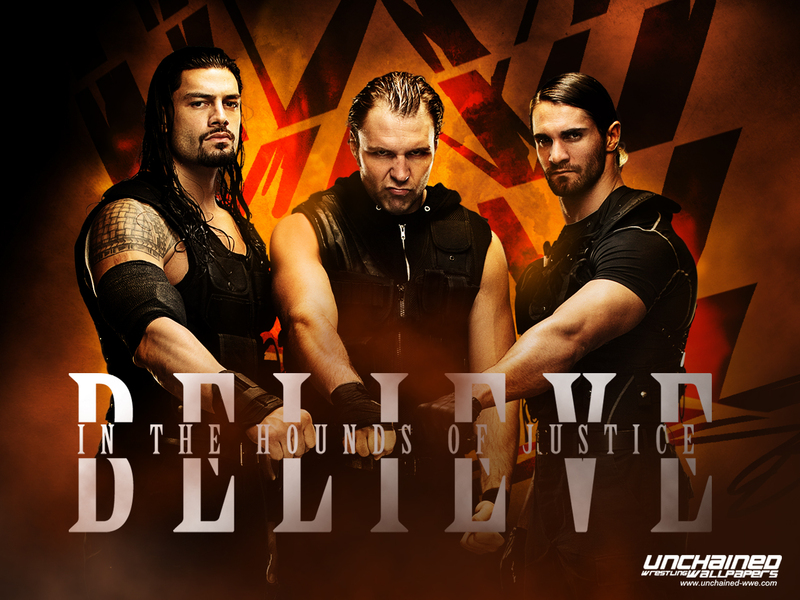 The Shield - Believe in the Hounds of Justice. . HD Wallpaper and background images in the WWE club tagged: the shield wwe 2013. This WWE wallpaper might contain boardroom, council chamber, concert, sign, poster, text, and chalkboard.